European Union « What Happened to the Portcullis? 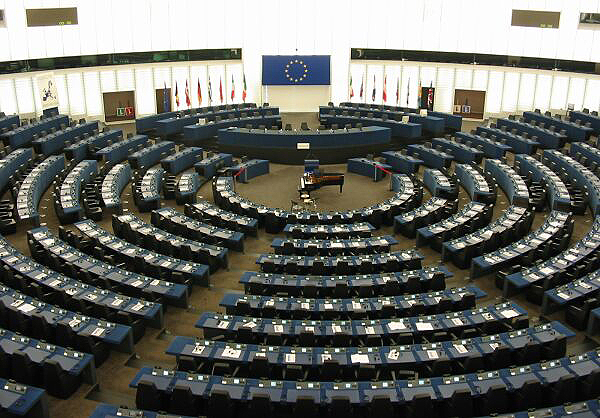 On 25 February 2014 the European Parliament gave its approval to the Proposal for a Directive of the Parliament and of the Council to approximate the laws of the Member States relating to trade marks (recast). The holder of the trademark right may prevent goods coming from third countries and bearing a counterfeit trademark from entering EU territory. The holder of the right may take appropriate legal steps and actions against counterfeit goods. These include the right to request national customs authorities to implement measures to detain and destroy such goods under the new customs Regulation (EU) No. 608/2013. 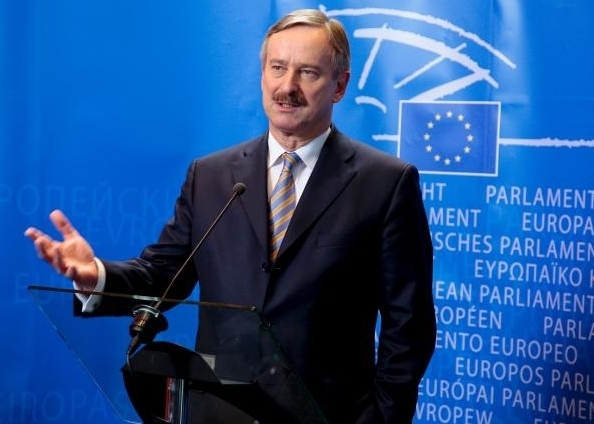 The holder of the right may also prevent the entry into the EU of small consignments of counterfeit goods, particularly in the context of sales over the Internet. A small consignment is defined in Regulation (EU) No. 608/2013 as a postal or express courier consignment containing three units at most or having a gross weight of less than 2 kg. Parliament proposes that in these cases the individuals or entities who ordered the goods should be notified of the reason why the measures have been taken and similarly be informed of their legal rights vis-à-vis the consignor. The provisions thus approved in connection with small consignments follow on from the recent judgment of the Court of Justice in case C-98/13, published on 6 February 2014, in which it was held that, even where the sale of goods for own use had taken place through a website in a non-member country, the holder of the intellectual property right could not be deprived of the protection afforded by the customs regulation and the consequent power to prevent those goods from entering the European market, without there being any need first to ascertain whether the goods had previously been the subject of an offer for sale or advertising targeting European consumers. The European Union’s rules determining which countries pay less or no duty when exporting to the 28 country trade bloc, and for which products, will change on 1 January 2014. The changes to the EU’s so-called “Generalised System of Preferences” (GSP) have been agreed with the European Parliament and the Council in October 2012 and are designed to focus help on developing countries most in need. The GSP scheme is seen as a powerful tool for economic development by providing the world’s poorest countries with preferential access to the EU’s market of 500 million consumers. The new scheme will be focused on fewer beneficiaries (90 countries) to ensure more impact on countries most in need. At the same time, more support will be provided to countries which are serious about implementing international human rights, labour rights and environment and good governance conventions (“GSP+”). The EU announced the new rules more than a year ago to allow companies enough time to understand the impact of the changes on their business and adapt. To make the transition even smoother for exporting companies, the Commission has prepared a practical GSP guide. 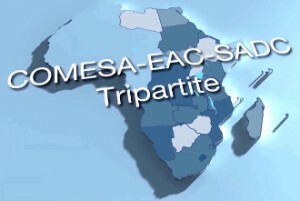 The guide explains in three steps what trade regime will apply after 1 January 2014 to a particular product shipped to the EU from any given country. It also provides information on the trade regime that will apply to goods arriving to the EU shortly after the New Year. 90 countries, out of the current 177 beneficiaries, will continue to benefit from the EU’s preferential tariff scheme. 67 countries will benefit from other arrangements with a privileged access to the EU market, but will not be covered by the GSP anymore. 20 countries will stop benefiting from preferential access to the EU. These countries are now high and upper-middle income countries and their exports will now enter the EU with a normal tariff applicable to all other developed countries. While the trend is EU-wide, it is more acute in France where the number of seizures of counterfeit goods has fallen by half since 2011 while 33 per cent of goods inspected in 2012 did not comply with EU rules, increase of 22 per cent from 2011. Even the economy ministry, in charge of customs, hints at an official weakening of overall surveillance, Reuters reports. “The priority is no longer systematically to check vessels in coastal waters but to focus on the most important fraud cases,” it said in the draft 2014 budget. 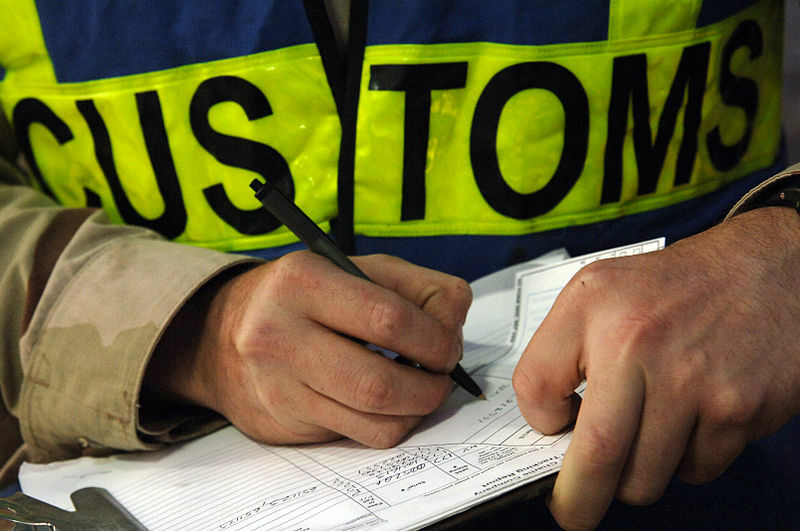 European customs services are under orders to facilitate the flow of trade and make life easier for companies to avoid hobbling economic competitiveness. Competition for business among European ports and airports has led to what critics call a race to the bottom between national customs services. The big winners are Europe’s two largest ports, Antwerp and Rotterdam, where China has invested in making the 12-million-container-a-year megaport on the Maas/Rhine Estuary. As the EU seeks a string of free-trade deals across the globe, Antwerp is building the world’s largest lock, wide as a 19-lane highway, to accommodate a new generation of giant ships. Like its rival European ports, Antwerp is under pressure from importers to do checks quickly and efficiently. While only one to two per cent of goods entering Europe are physically inspected nowadays, online checks of digital paperwork are carried out on the basis of risk analysis. 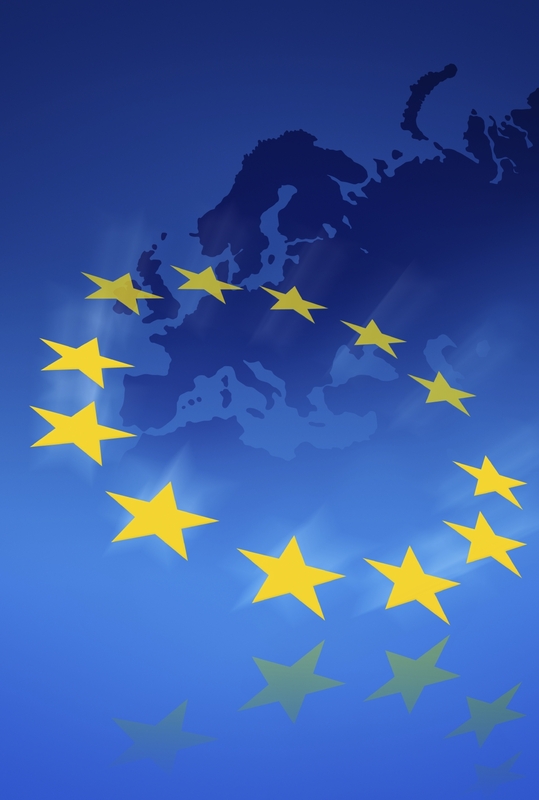 The European Commission has set out plans to ease customs formalities for ship but it’s as yet unclear as to how the changes are likely to affect EU ports. 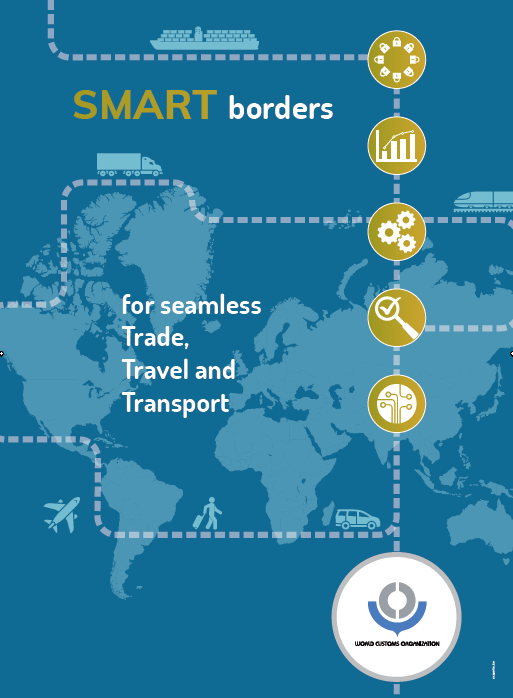 Known as the Blue Belt, the proposals aim to create an area where ships can operate freely within the EU internal market with minimum administrative burden when it comes to safety, security, the environment and taxes. Although free movement of goods is a basic freedom under EU law the Commission says that it’s not yet a reality for the maritime sector which needs to play more of a part in getting more trucks off congested roads. The new proposals will require amending the existing Customs Code Implementing Provisions (CCIP). Under the new proposals Regular Shipping Services procedures will be made shorter and more flexible. The consultation period for Member States will be shortened from 45 days to 15 and companies will be able to apply in advance for an authorisation from countries they intend to do business with to save time. The Commission also proposes putting in place a system which can distinguish EU goods on board a ship (which could be fast tracked through customs) from non-EU items, which would need to go through the appropriate customs procedures. This new “e-Manifest” system would allow the shipping company to relay all goods information in advance to customs officials. Dare say the following will not go unnoticed by South African authorities. The bottom line in all of this is the question of effective enforcement. 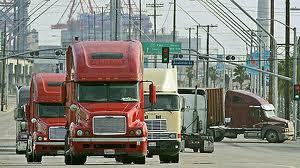 Foreign truck drivers will have to pay £10 a day to use British roads by 2015, under the new legislation. British truckers are used to paying special road charges of up to £13 a day on the continent, but their European counterparts pay nothing when they drive in the UK. Announcing the plan, New Transport Secretary Patrick McLoughlin said: “These proposals will deliver a vital shot in the arm to the UK haulage industry. 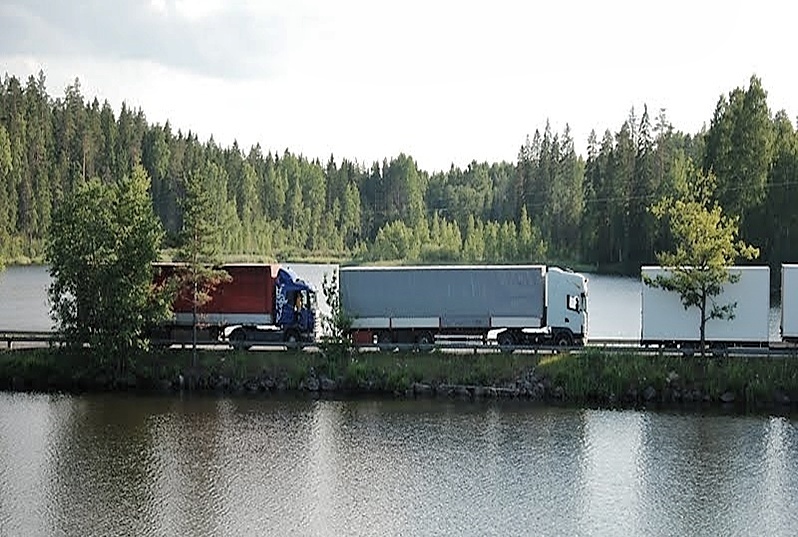 “It is simply not right that foreign lorries do not pay to use our roads, when our trucks invariably have to fork out when travelling to the continent.” It is estimated that 1.5m visits are made by foreign hauliers to the UK every year. The new charge is expected to cost most drivers £1,000 a year. Dunning added: “This is not enough to give us a level playing field as regards the rest of Europe. But it is a good start and will help no end in beginning to prepare the ground. The U.S. Customs and Border Protection (CBP) and the European Union Taxation and Customs Union Directorate (TAXUD) have agreed to language for the U.S.-EU Mutual Recognition Decision today which will lead to its signing in the Spring of 2012. Once signed, the Mutual Recognition Decision will recognize the respective trade partnership programs of the U.S. and the EU—CBP’s Customs-Trade Partnership Against Terrorism (C-TPAT) and the EU’s Authorized Economic Operator (AEO)—with reciprocal benefits. In 2007, CBP and TAXUD initiated efforts to implement Mutual Recognition between C-TPAT and AEO. Mutual Recognition is an industry partnership program that creates a unified and sustainable security posture that can assist in securing and facilitating global cargo trade. Upon achieving mutual recognition with a foreign partner, one program may recognize the validation findings of the other program. The European Commission adopted a regulation revising rules of origin for products imported under the generalised system of preferences (GSP). This regulation relaxes and simplifies rules and procedures for developing countries wishing to access the EU’s preferential trade arrangements, while ensuring the necessary controls are in place to prevent fraud. The Regulation adopted by the Commission today will considerably simplify the rules of origin so that they are easier for developing countries to understand and to comply with. The new rules take into account the specificities of different sectors of production and particular processing requirements, amongst other things. In addition, special provisions are included for Least Developed Countries (LDCs) which would allow them to claim origin for many more goods which are processed in their territories, even if the primary materials do not originate there. For instance, an operator in Zambia that produces and exports plastics to the EU will benefit from the new rules of origin, because even with up to 70% of foreign input the exported plastics can still be considered as originating from Zambia. These new rules should greatly benefit the industries and economies of the world’s poorest countries. The proposal also puts forward a new procedure for demonstrating proof of origin, which places more responsibility on the operators. From 2017, the current system of certification of origin carried out by the third country authorities will be replaced by statements of origin made out directly by exporters registered via an electronic system. This will allow the authorities of the exporting country to re-focus their resources on better controls against fraud and abuse, while reducing red-tape for businesses. The new rules of origin will apply from 1 January 2011.